yeah. It's a meat tree. There was a burst of Christmas spirit let loose at Meat Sections headquarters (aka Drywell headquarters) (aka my very over-run apartment). 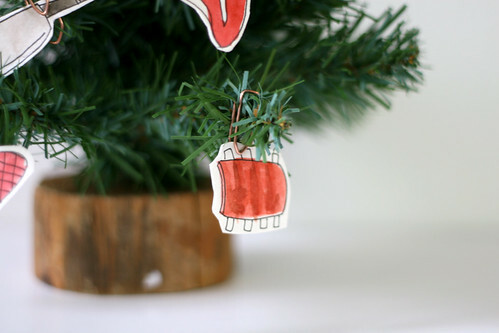 In my meat addled brain, it seemed like a completely reasonable idea to sit down and make 20 or so hand-painted* meat ornaments for a mini Xmas tree. I rationalized that I'll display this beauty at my booth at Renegade Craft this weekend** thus it was actually productive. I'm still going with that rationalization, because damn mini meat is cute. *this is such a weird term. I'm not paralyzed or an elephant. How else would I paint? ** Saturday and Sunday, 11 to 7, Concourse East Hall, 7th and Brannan. Booth 18 or 19 or something. 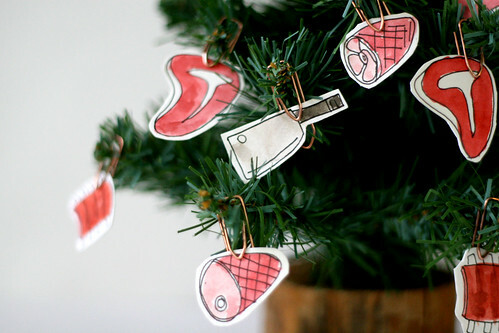 This tiny meat tree is total WIN plus! It's not listed on your site, is it? I know a few people (myself included) who want one. Thanks guys! 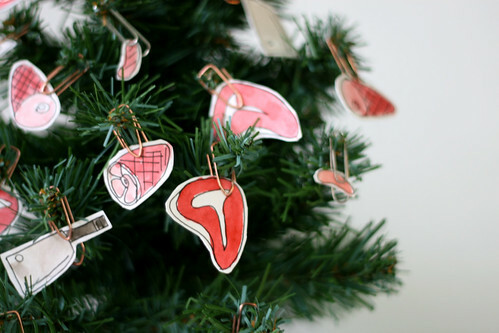 You know, I got a ton of requests this past weekend at Renegade for little meat ornaments. This was really just a quick project for myself, so none for sale now, but making some for sale is definitely on my list for next year. Alyson, drat! I think you have a winner on your hands (actually, I love your work in general, so glad I stumbled upon you). 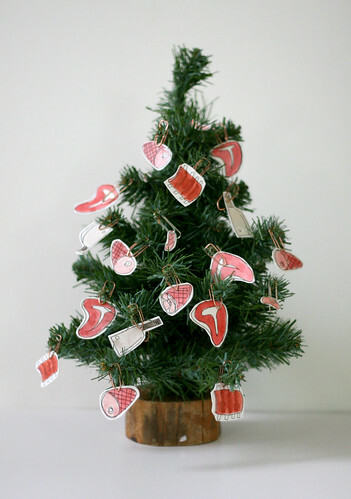 The mini meat tree is fabulous, but I have to thank you for prompting a snort-laugh over the "hand-painted" footnote. Hilarious.